Giles Smith and James Priestley have been residents at secretsundaze for close to 15 years and the pair are synonymous with the party, The duo have mixed 3 critically acclaimed and successful compilation CDs and played many of the best clubs world-wide from Robert Johnson, The Rex, Output, Panorama Bar to Trouw and Space. Although thoroughly enjoying the process of inviting and connecting with the many guests to their regular London parties the pair miss the days of being able to play long sets. 'Secretsundaze all night long' will give the pair 8 hours to romp through various shades of disco, house and techno that has defined the party's sound. 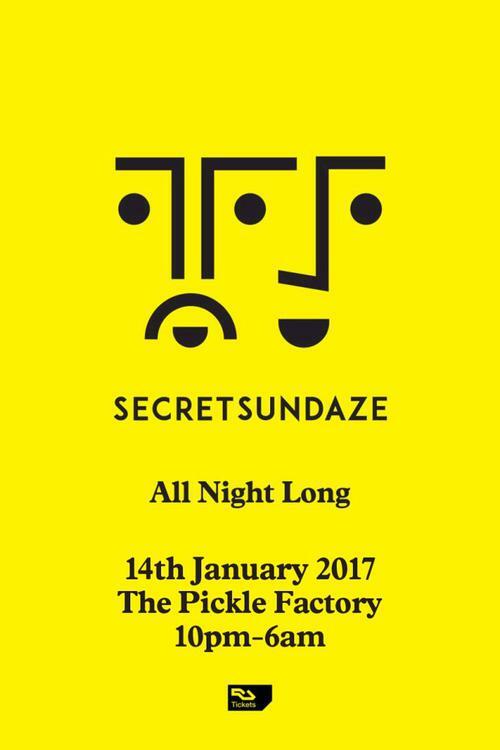 The combination of an intimate 200 capacity venue, the Pickle Factory's killer sound system and secretsundaze taking control of the music all night long very much takes secretsundaze back to its roots.